Like most theatres in London, tickets for the centre stalls and front section of the royal circle tend to be the most expensive and the most popular. Every member of the audience must have their own booked seat and there no discounts for children. All tickets to shows at the Lyceum include £1 restoration levy, clearly marked on your ticket and included in the overall price. This goes directly to the theatre and pays for essential renovation work, upkeep and maintenance. 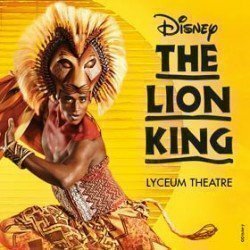 Booking tickets online can be confusing, with so many retailers selling tickets for shows at the Lyceum theatre. Weed out the best and most reliable: those with STAR accreditation on their website. STAR stands for Society of Ticket Agents and Retailers, identifiable by the official STAR logo, and accreditation means you can trust the online retailer. STAR-approved retailers have to meet a strict set of rules and regulations to ensure the customer is always protected when buying tickets. They ensure, for example, that the face value of your ticket is always displayed clearly and you're told about any view restrictions on seats before you buy. STAR also acts as a regulatory body and will intervene on your behalf if you believe your tickets didn't meet STAR retailer regulations. Some online retailers offer customers the chance to print their own tickets at home rather than collecting from the box office or having them sent in the post. This option can cut down on waiting time and is both environmentally friendly and cost-effective. Just make sure you print out all the tickets for your party. If you need to book 8 or more tickets you'll be eligible for group rates, which are lower than the standard ticket prices. Discount group tickets are perfect for larger groups like birthday, stag and hen parties, school trips, social groups, work outings and family gatherings. If you are disabled, you and your carer are eligible for discounted tickets. All you do is call the Lyceum Theatre’s access line on 0844 871 7677, where staff will be able to answer any questions you have about concerning access and accessibility, and do everything possible to make your night out comfortable and pleasurable.